UK Stampin' Up! 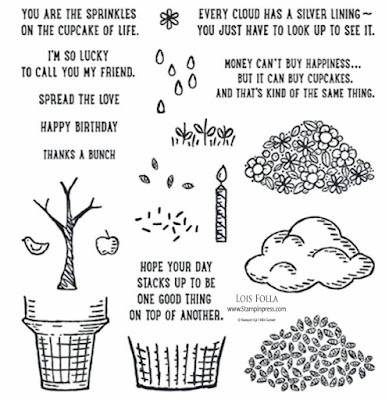 Demonstrator | make beautiful cards | Crafty Hippy: Every Cloud - Sprinkles of Life stamp set, Stampin' Up! 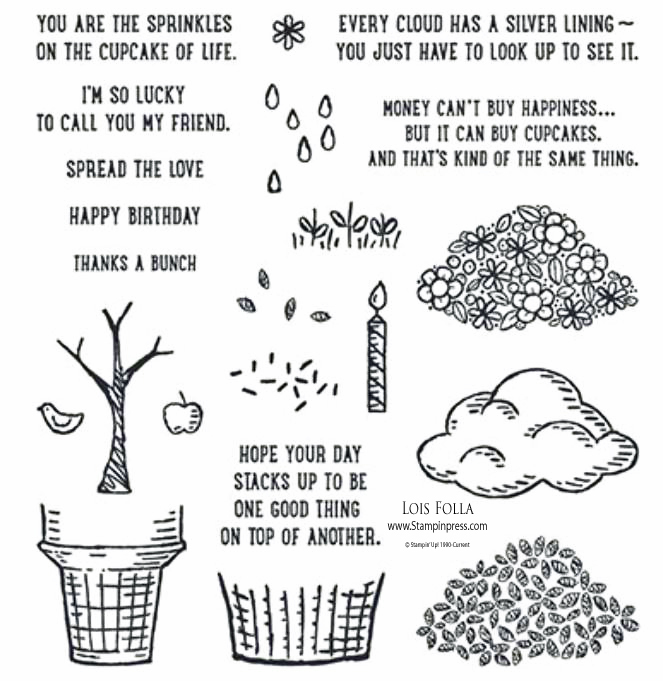 Every Cloud - Sprinkles of Life stamp set, Stampin' Up! Today's card is a little reminder that even bad situations usually have their merits, it's true that every cloud really does have a silver lining! I love positive thinking - I believe that 'energy flows where thought goes' - and the Sprinkles of Life stamp set from Stampin' Up! lets you sprinkle positivity everywhere. The reason for this is not just the sweet sentiments - this is the Stampin' Up! Ronald McDonald House Charities Stamp Set, and this means that a portion of the profits from the sale of this stamp goes to RMHC. Sprinkles of Life is a photopolymer set which means it's totally transparent (so you can see where you're stamping). The set costs £19.00 - you get 22 stamps in the set which you can use in a variety of ways - for example the ice cream on top of the cone can also be used for leaves on top of the tree trunk - such a clever set! The dotty pattern and the sunshine are from the Kinda Eclectic stamp set, which I stamped in Smoky Slate and Crushed Curry respectively. This was a CASE of a card by Mercedes Weber and is very nearly identical, so the inspiration and credit goes to Mercedes today (thank you). You will find all the products for making the card at the bottom in the ticker, including this set. I hope you have a happy day, back soon!